This carpet is beautifully hand tufted in pure New Zealand wool and cotton material. This is ideal for a bedroom as well as a living area. It is a highly durable rug. This design is inspired by modern interiors, this woolen carpet is a stylish floor covering that blends chic modern design with expert construction. 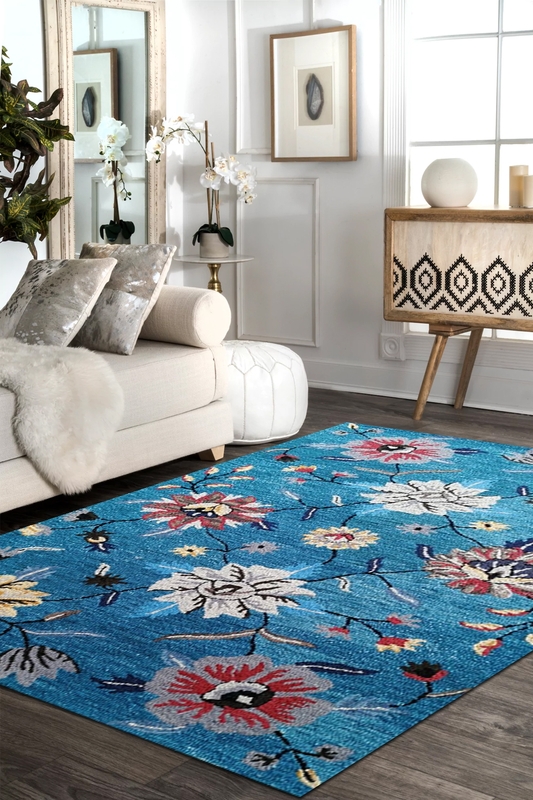 This rug provides soft and comfortable underfoot gives the feeling of gorgeous relaxation. This rug is skilfully woven using Hand-tufted technique with the finest quality material.